Excellent product. I have bought two sets of these clips and find them far better than standard toe clips. They do not exert pressure on or scuff shoes and work well with cycling shoes that have Velcro straps (unlike normal toe clips where the shoe strap often seems to get caught up in the front of the clip). The only issue is whether they will survive the salt on the roads in winter. The distance between the screw holes at the furthest point is 40mm. Medium Or Large For Size 43 Exustar Sp705 Shoes? 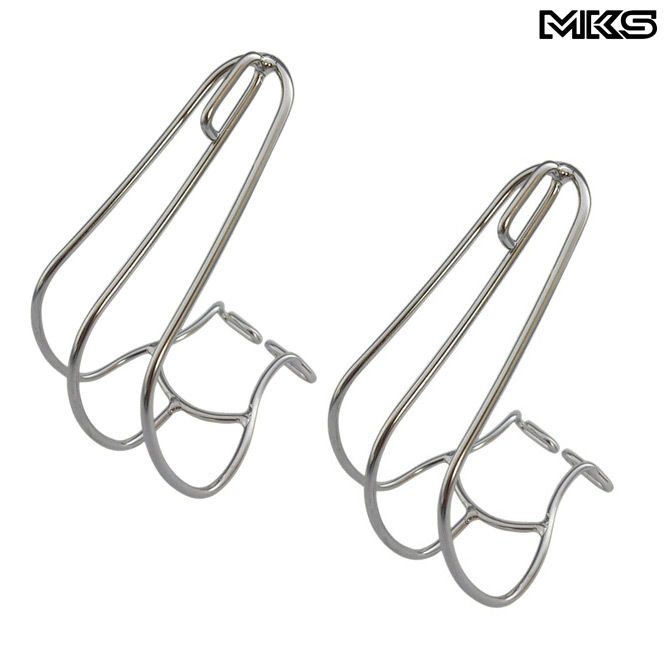 To get a larger fit with these MKS toe clips you'll need to go for the large size. What size will fit and UK 8 to 8.5 shoe size? For that size shoe we would recommend the medium size.